Celebrate the seasons with a spectacular tour at Brooklyn Botanic Garden, considered "the premier horticultural attraction in the region," by the New York Times. Our Seasonal Highlights tours are led by our extensively trained Garden Guides. Free guided tours are offered Saturdays and Sundays at 1 p.m. Meet at the corner of Cherry Walk adjacent to the Visitor Center. The Dr. 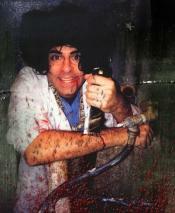 Blood show is a day-time family friendly show we provide to our customers at Times Scare. If your child likes scary stuff, he will love Dr. Blood! Like it or not, kids love blood and guts and stuff that’s gross. Dr. Blood is the only show of its kind that taps into this. Dr. Blood performs a show where all the "experiments" are scary, gross, and funny. He starts out gently with simple nonthreatening tricks. He moves on to grosser magic tricks like chopping off his hand, poking out his eye and sticking a screwdriver through his tongue, culminating with sawing a child volunteer in half with a real Black & Decker power saw. At the end of the show the audience gets free tricks to scare their friends with, and everyone gets made-up to look like zombies (only if you dare to! ), so they can go back into Times Square and scare the tourists! You know your child will love it. Do you dare to tell them? Dr. Blood is a show for families with children 7 and older. And remember, as always, "Free funeral if you are scared to death!" 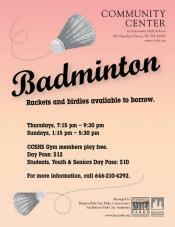 Rackets and birdies available to borrow. For more information, cal 646-210-4292. Fancy Nancy returns in Vital Theatre's hit adaptation of "The Mermaid Ballet." Nancy and her friends are going to be performing in their very first show, “Deep Sea Dances.” When another girl wins the coveted role of the mermaid, Nancy is stuck playing a dreary, dull tree. Can Nancy bring fancy flair to her role, even though it isn’t the one she wanted? Children 5 and up with their adult companions. Children with special needs welcomed, adaptations available. The museum offers free Family Drop-in Art Workshops as a means to develop art skills through a variety of materials and themes. Targeting children ages five through 12 and their adult companions, this program offers fun and educational activities to fuel conversations about art on view. Our programs are accessible to all families, including those whose children have special needs and those for whom English is a new language. All of these elements create a palpably pro-family, personable, and friendly atmosphere. Call 718 592-9700 x 134 for additional information. Call 718-592-9700 x136 for additional information for children with special needs. Filmed over three years at locations around the world, including the Bahamas, Fiji, and Bimini, Jean-Michel Cousteau’s Secret Ocean (40 min.) is narrated by renowned oceanographer Sylvia Earle. Jean-Michel Cousteau, son of ocean pioneer Jacques Cousteau, and marine biologist Holly Lohuis take viewers on a breathtaking journey underwater. Audiences will see more than 30 species of marine animals, including animals seldom seen by even the most experienced divers, such as Christmas tree worms, basket stars, banded cleaner shrimp, and fishes such as gobies and blennies. The footage illuminates behaviors of underwater animals captured for the first time thanks to the development of new tools that allow underwater filming in 3D, ultra-HD 5K, slow motion, macro, and with motion control. Jean-Michel Cousteau’s Secret Ocean is screened in 3D digital and 2D film. • 3D digital showings: 10:30 am; 12:30 pm; 1:30 pm; 2:30 pm; 3:30pm. Start with a book, then learn to look! After hearing stories in the library's special corner for kids, explore the Museum on a self-guided gallery hunt. For families with children ages 3–7. The producers of “The Fantasticks” think it’s time to introduce the next generation of theatergoers to their show, the longest-running musical in the world. They have initiated a program for young audiences that will take them behind the scenes after matinee performances, where they can tour the backstage area, meet cast members (Aaron Carter has a starring role), learn how the show is put on and take pictures. And, of course, have their first experience with Tom Jones and Harvey Schmidt’s fable about love. 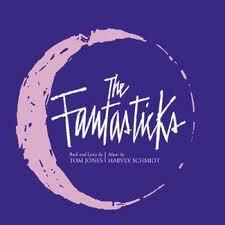 THE FANTASTICKS tells the story of a young man and the girl next door, whose parents have built a wall to keep them apart. The youngsters nevertheless contrive to meet and fall in love. Their parents, meanwhile, are congratulating themselves, for they have erected the wall and staged a feud in order to achieve, by negation, a marriage between their willfully disobedient children. A narrator sets the imagined scene and, in due time, progresses to the role of professional abductor convincing the giddy youngsters that they are deeply embroiled in a melodramatic encounter in a garden under the moonlight. The evening itself is entirely concerned with the notion that children – of whatever age – cannot fall in love unless their love is forbidden. The abductor pretends to fall before the onslaught of the young man, letting the boy think he is a hero when he rescues the girl from a band of villains. The night is full of moonlight and romance. The sun comes up and the day brings an end to dreams. The lovers must be taught to face reality. The dashing vagabond, who was their guide to romance and illusion, becomes their instructor in disillusionment. It is only when he has shown the boy the harshness of the world that looks so filled with promise of bright adventure, and has let the girl see that love can be false, that they come to understand each other. This free tour explores our summer displays focused on gardening in urban settings and city apartments. No registration necessary. Meet on Magnolia Plaza.